Sabina Khan’s debut novel, as hard and heartbreaking as it is, is full to the brim with important and relevant social commentary, complex family dynamics, drool-worthy food, and is a stunning exploration of Bangladeshi culture. 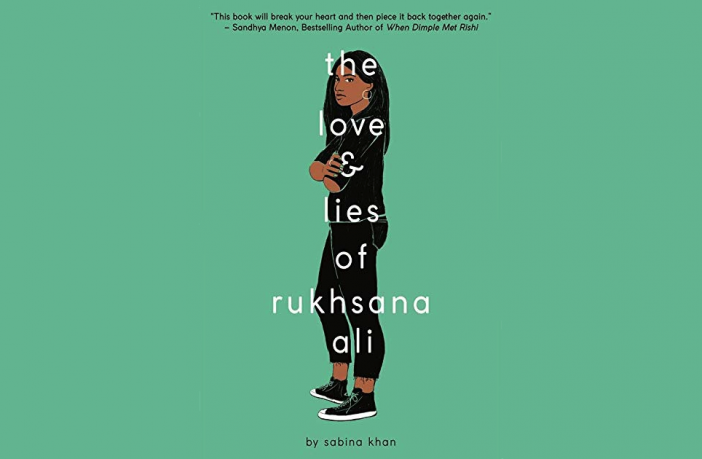 The Love & Lies of Ruhksana Ali follows Ruhksana, a 17-year old Bangladeshi Muslim lesbian who’s a senior in high school. She’s always done her best to get great grades, so one day she can achieve her dream of being a physicist, and go to her dream college: Caltech. But she’s keeping a secret from her conservative parents: she has a girlfriend. And when one day, they catch her making out with her, her life spirals downhill, as she gets sent away to Bangladesh. There are no words to describe how hard-hitting this novel was. It was truly, a very cathartic read, and the way it explored the intersection between race and sexuality, wanting to meet your parents’ many expectations, but also wanting to be your true self, was so, so well-done. Ruhksana was such a relatable character; I saw myself in her so deeply, it hurt. Her struggles hiding her relationship, and also grappling being stuck in the closet were painfully real. The way she navigated everything, the decisions that she made, the steps she had to take, and even through the darkest times, she put her happiness first. Sometimes, it broke me a little to see her being so self-less. At times, she didn’t realize that her feelings also mattered, greatly, and I wanted to give her a huge hug and let her know that. I have to say, I wasn’t expecting there to be such great character development for her parents, Zubaida and Ibrahim. I spent most of the story hating them with my entire soul, for not letting Ruhksana be, and forcing their beliefs down on her when it was so clear she didn’t want to get married, and even less to a boy. It hurt to read about them being so insensitive towards her, but it served as a reminder that many folks everywhere still have these inconsiderate mind-sets, so it was realistic. The way they treated her during the middle of the book kind of shattered me, to be honest, because it showed how blinding culture can be, and how growing up with conservative views can wreck you. I had a very fascinating love-hate relationship with Ariana, Ruhksana’s girlfriend, as a character. I liked her, but she constantly demonstrated how white privilege can reflect itself on an interracial relationship. At times, you could kinda see her trying to understand Ruhksana’s struggles, but clearly, she had trouble considering Ruhksana’s emotions and how hard living in her household was, which annoyed me. There were multiple times when she completely turned the situation around and made it about her, saying this is hard for me too! How about being supportive, girlie? Is that so hard? It’s difficult, because yeah, I understood where she was coming from, but she suffered of a great lack of sensitivity. And so did Ruhksana’s best friends, Jen and Rachel. It frustrated me to see these girls, who grew up with her, knowing how different her culture is to their own, and yet, still struggled to see that nothing was that simple, she couldn’t just walk away from her parents. As irritating as this was, it painted a really good picture of what white privilege looks like, and I’m really glad that Ruhksana stood up for herself and called them out. Honestly, I didn’t think all the internalized issues these characters had were going to be resolved by the end, but they were, and flawlessly so. There were truthful apologies, and the acknowledgment of having fucked up, and I really liked that. Her parents had a complete turn-around, which brought tears to my eyes, because even though it took a catastrophic event for them to realize they were in the wrong, they still realized they’d made a mistake and did their best to mend their relationship with their daughter. It was beautiful, and it filled my soul with a lot of hope. Also, big shoutout to Aamir, Ruhksana’s brother, Shaila, her cousin, and Irfan and Sara, for being iconic and supportive characters throughout! For representing the support system that every queer folk needs and deserves. For being understanding and giving Ruhksana the best hugs when she needed them most. Y’all the real ones! Now, if it hadn’t been for two specific elements, this book would’ve literally been perfect to me. The first is the writing, which I found to be quite basic and nothing overly impressive. And the second, which is the main reason this isn’t a 5-star read: the dialogue. My biggest issue was this one, as the dialogue was just so… robotic and stilted. The conversations didn’t flow smoothly like they were supposed to, and there was the constant repetition of first names, when pronouns are literally right there. Another issue was the pacing, which I’ve noticed is the recurrent element that has stained many people’s enjoyment of the book and has affected their ratings. Personally, I didn’t have such a big issue compared to many other reviewers, but it’s there, and I recognize it. Regardless, this is Khan’s debut, so there is definitely infinite room for her to improve her craft. I only had problems with technicalities, because the plot and story were very, very good. (TW for: racism, homophobia, Islamophobia, grief, sudden death of a loved one, domestic abuse and sexual assault) These were recurrent and very graphic themes in the book (so please be warned), but they were handled amazingly. Sabina Khan really opened a door to have conversations about these issues that are so prominent in the Muslim community and South-East Asia. They were hard to read, but it was necessary to tackle, which I appreciated. 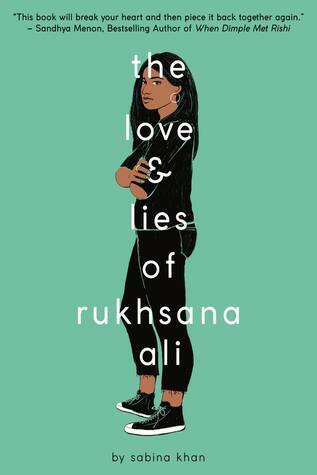 Overall, The Love & Lies of Ruhksana Ali was a stunning read, and I highly recommend it. It is a super crucial book in terms of representation, and I see many queer Muslims and other queer people of color feeling at home with this book. I know I did. It’s a massive YA hit, and I need this to be in every single bookstore and library, and for it to be sitting on your bookshelf at home. 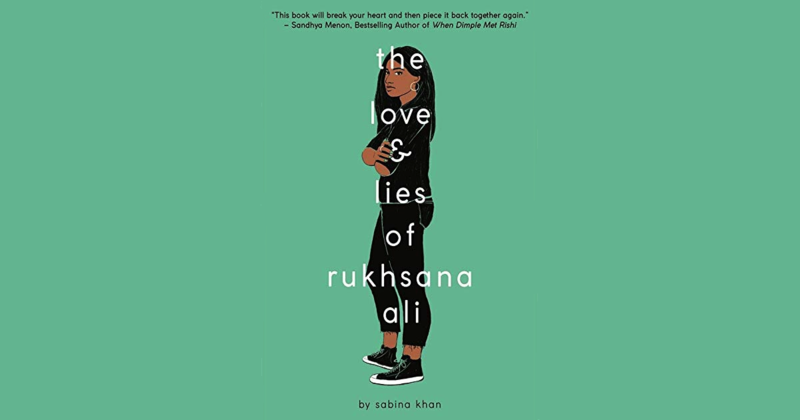 The Love & Lies of Ruhksana Ali by Sabina Khan is available now! Snag a copy now via Amazon or support your local bookstore via Indiebound!